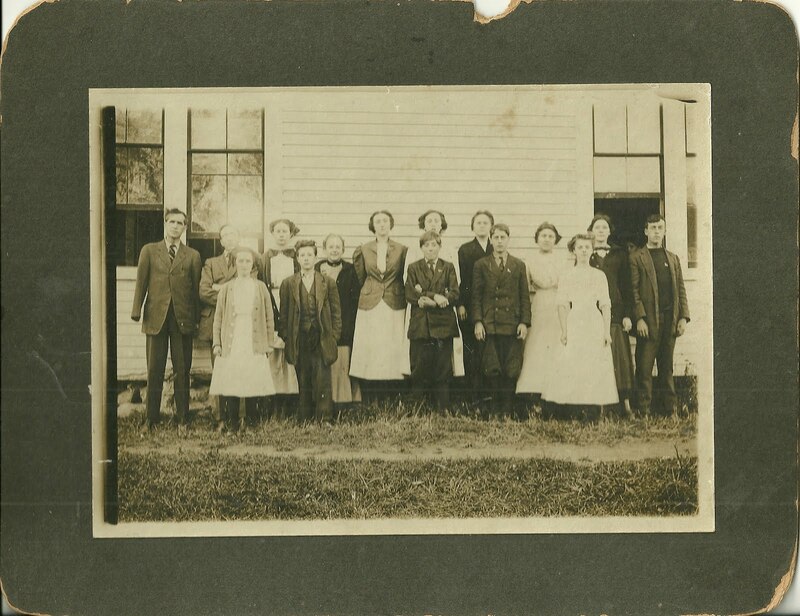 Photograph of teacher and students at Surry High School in Surry, Maine. All are identified on the reverse. Note that Mr. Shorey has a missing hand or arm. The photograph was taken by Guy Linwood Carter (1895-1975) of the Photo Shop of Blue Hill, Maine. 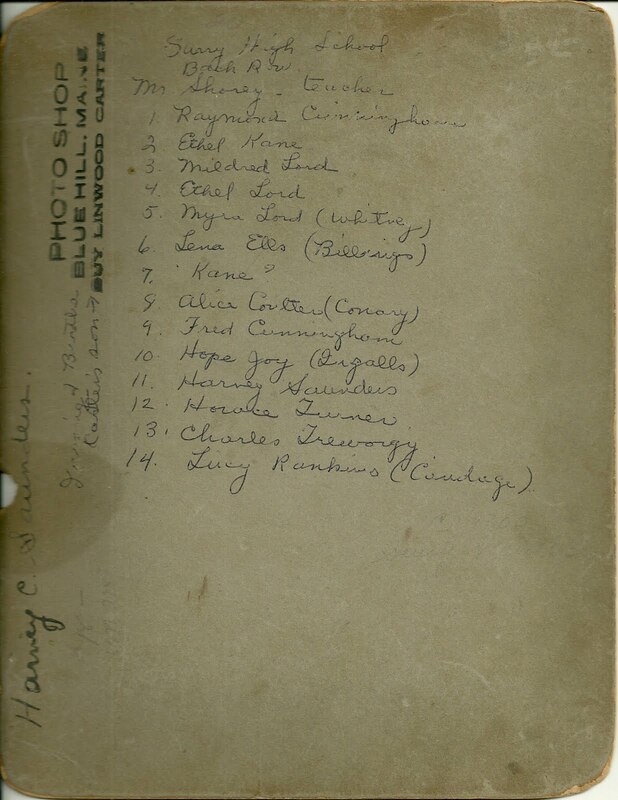 Also on the reverse is indication that this photograph belonged to one of the students, Harvey C. Saunders. 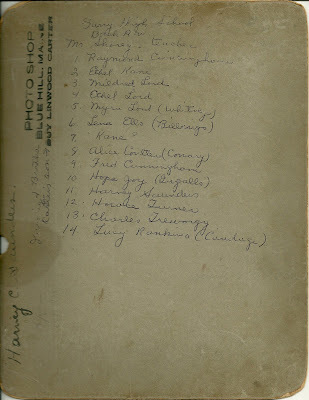 Another note indicated that the photographer, Guy Linwood Carter, was the son of Irving and Bertha Carter. Perhaps a reader will have more information on the teacher, Mr. Shorey, and leave a comment. Horace Turner was lost at sea in September 1925 on the coasting schooner, NELLIE GRANT, captained by Newell Kane of Surry. Also lost was Justus Mellow, of Surry, who was only 17 and on his first journey to sea. All hands were lost. Thank you for adding this information about poor Horace and Justus. Was Newell Kane related to Athol? And did Newell perish as well?